Fundraising is an important part of the cheer program. During the year, Roseville Cheer incurs costs for things like music, goodies to toss out at games, poster supplies during Homecoming, etc. Fundraising helps pay for these items. 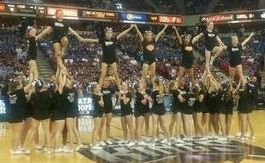 Roseville Cheer traditionally participates in several fundraising opportunities throughout the year, including car washes, gift wrapping at Barnes & Noble, and sales. Thank you to all the wonderful cheerleaders and their parents, families and friends for volunteering at the Airshow on Saturday and Sunday, September 22nd and 23rd. It was hot and lots of fun! 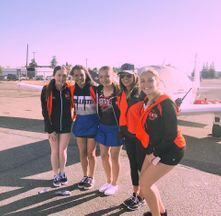 The cheer team and their families and friends provided the ultimate parking experience for valued guests at the 2018 California Capital Airshow. We provided guests with big smiles and warm welcomes while handling parking. We were served with lunch, snacks and plenty of water. We were able to watch parts of the amazing show while serving the community and Roseville High School Cheer. You guys are GREAT! A big shout out to Sara for coordinating this awesome experience. And she worked both days. She's the best! Thank you, Sara! Compensation: $18,000 in donations will be divided between the nonprofit organizations that participate based on the number of volunteers serving in each group on each day, we expect the payment to be approximately $40 per volunteer/full day*. We are hoping for just a few large groups, to receive a few large checks! This was a great opportunity to raise funds! Thank you for participating! Your camp fee is reduced by $100! Choose one roommate at Camp! Get an additional $100 off Camp! More information will be available as each fundraiser gets closer. Usually two during the summer. 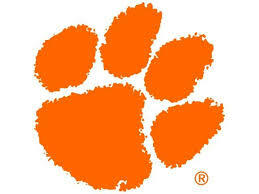 All cheerleaders will be assigned times to show up to wash cars. You are encouraged to make posters to bring cars into the wash. A few parents will be needed to oversee the operation and collect money. in December. Two parents and two cheerleaders are needed to work two-hour shifts wrapping holiday gifts. Wrapping supplies are provided by Barnes & Noble.